These delicious little morsels are one of our favorite Merlot pairings. The basil in the pesto brings out the dark berry flavors in our high-altitude Merlot. 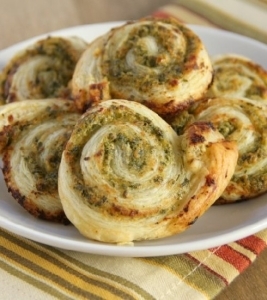 Easy to bake, they make a great party food or quick appetizer, or a side for a big Italian meal. Try these as a simple side for our Vegan Manicotti with Red Wine Tomato Sauce! To make pesto, blend basil, oil, pine nuts, garlic, nutritional yeast, salt, and pepper in a food processor until smooth.